Here is the second part of the second part. This part is more about what “basic beliefs” are and how one argues against them. Ben doesn’t think Paul was forced to be a Christian and does acknowledge that other Christians will disagree. And again, we have Christians who can’t agree, can’t show that they are right and who have no evidence. Just the sort of people you want to trust, right? Because with all of that nonsense, faith is all you can have. Alas for Ben, for all of his claims of his god being hidden, now he has to admit that this god supposedly was unhidden for Paul and now has to claim that was just “aggressive recruitment”. Pity that Ben’s arguments up to this point is that any revelation of this god of himself would destroy the value of people believing in it. If Paul can freely obey a vision, then we all can and that again shows that the claims of a hidden god have been made up to excuse the non-existence of the Christian god. Ben has said that he has read the bible, which can be unusual in a Christian. He says he finds it depressing in parts. Ben, what parts are those? Should you not approve of everything the bible says? What can your god and its faithful followers do that is depressing? Ben also finds the gender specific language to be a problem it appears. Ben, you do realize that the gender specific languages was in the original? Those words were the intended meaning by the earliest authors of this supposedly wonderful truthful compilation of books. If it was wrong, why did your god evidently intentionally allow this? Isn’t it interested that a book written/inspired by god needs to be edited? Ben is also “100% sure” that I have “property basic beliefs”, but of course he can’t actually show this. He also wants me to give him evidence that the world wasn’t made 5 minutes ago. And, so again, we’ve come to that: in the final analysis, the only argument that a Christian has is that we cannot know anything. Unfortunately, they live like they actually believe this claim. They act, just like I act, knowing that the world was not created five minutes ago. I know that atomic decay does not magically start and stop. I know that the sun is around 93 million miles away and it takes light around 8 minutes to get here. I know that galaxies are billions of miles away and it takes thousands, millions or billion of years for that light to get here too. This is supported by physics, physics I rely on every day; and thus, I do not have to appeal to such weak nonsense as “I just know.” No, Ben, I don’t just know, as you and your apologists claim for your god. I have objective evidence. So, Ben is left with saying that physics doesn’t work as we know it does and that it’s magic that does. It’s not radical skepticism that he is appealing to, it’s the belief in Santa Claus that he wants everyone to accept because that also applies to his god. Alas for him, in this “matrix”, there is no evidence for his god at all. That evidence that he claims for his god doesn’t exist, it is missing and since we have no reason to doubt this reality, a very important point, we have no reason to accept the baseless claims that magic works and physics doesn’t. Light speed, radioactive decay do not depend on personal belief in them to work. This is counter-evidence; it is sad when people delude themselves into not accepting it and depending on willful ignorance. A theist’s beliefs may *seem* real to a theist, but they are not real, aka representative of reality. Those beliefs are not grounded in anything factual, they are based in the desire to believe in something that they were told to be true. Same as the belief in Santa, Tezcatlipoca, etc. They do not reflect reality in anyway. Ben says that he points out “inconsistencies” to Mormons to tell them that they are wrong. Hmmm, I do the same thing to Christians like him. And just like the Mormons, Ben refuses to acknowledge how radically different his version of Christianity is from other versions, including Mormonism. I point out how his god changes even within the bible itself. The claims of theists “can’t both be true”, so there is a problem. Ben claims that the Mormons must be mistaken and is sure that his version is the only right one, but alas can’t understand that his religion also involves contradictions and that he and the Mormons make up things to try to excuse those contradictions. Both sides form what they claim are basic beliefs, beliefs that do not have to be justified per Plantinga (and Ben “Basic beliefs don’t rest on any argument at all), and both have nothing to show that they are right. Ben says he’d welcome a “similar tactic” to engaging his beliefs; and that is exactly what I have been doing. He just doesn’t seem to want to admit it. I’d guess because that would make an atheist’s arguments against his religion equal to his own against others. He’d also like to claim that basic beliefs aren’t necessarily open to debate. I’m sure he would like that to be the case, like Plantinga, so he didn’t have to defend them. That isn’t the case. Finally, we get into some more interesting claims. Ben tries to argue that it’s okay for his god to damn people for not believing in it. He asks why I think that the whole world should believe in his god. Oh, beause this god supposedly wants everyone to believe in it and will do anything to get people to believe in it if we are to believe the bible and the “lost sheep” parable. If we shouldn’t believe in the bible, well, that does present a problem. If we are to only believe in parts of the bible, which parts and how do we tell? He also seems to think that cause and effect doesn’t’ always work. That would be nice if he could show a time where it didn’t. He ask why my cognitive faculties should be trusted more than a theists, and why couldn’t theists be right? Good question and the answer is that NONE of them have shown that their beliefs are objective and based on reality. I have had Christians like Ben claim that miracles occur but there is no evidence of such things. I have had them claim that their holy book represents reality and thus should have evidence of the important events in them happening. They do not. This is why I have no reason to think that the billions of different versions of religions are right in anyway. He brings out the good ol’ appeal to popularity, that since billions have believed in many many different religions/the supernatural, that means religion/belief in the supernatural is warranted and asks where the atheist’s objective perspective from. Well, Ben, by your argument, we still should believe that god’s wrath causes disease because lots of people have and still do believe. And as for where my objective perspective come from? Well, the inability of you and yours to show that your claims are true. You’ve failed every time, and every time that gives another data point that I’m right. Unsurprisingly, we’ve ended up at “why should all of the gaps be filled?” a rather plaintive question from a man who has done all he can to say *his* god fills them. This appears to me as the last attempt of a theist to have those who accept the scientific method cease applying it to the world since we might close those gaps and theists need them for their god. Those gaps should be filled because the more we know, the more we can do. Shall we stop looking for what causes cancer? For what caused the Big Bang? No. I have not presupposed atheism, Ben. It is theists who have claimed theism and who have failed to prove their hypotheses. Since the hypostheses have failed, the question becomes “why?” and atheists and theists have tried to find the reasons. 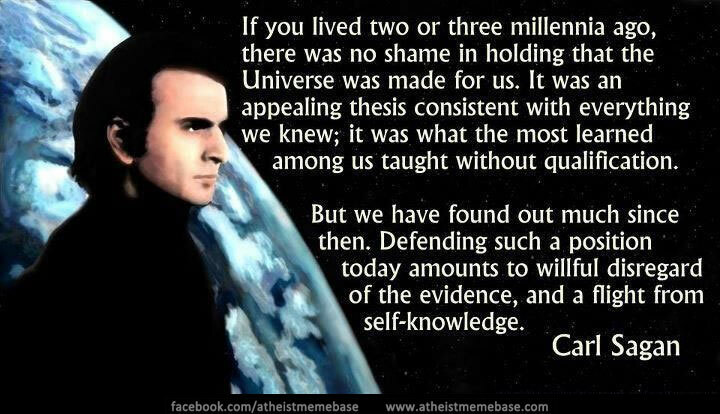 We have questions like: Why has the claim that god created the universe per various holy books have failed to be supported by evidence and contradicted in those myths so none can be shown to be true? Why has the claim that gods heal people never been supported? And on and on. Atheists have postulated that there is no god, none like the religions claim, and reality has supported this. Theists have created apologetics, layer upon layer of excuses on why their god, described by their holy books claimed as truth, fail. And all we get is that “well, we can’t really know anything. So, my god exists.” We get Pascal’s Wager that has the claim that the theist has the “right” god out of all of those claimed. And we know how all of that fails. As a postscript, Ben and I have started discussing the historicity of Jesus Christ. No, Ben, there is no evidence of a man/god being on this earth, doing miracles and dying and being resurrected. And no, Ben, we do not have to “critique our expectations of the evidence”. We must examine the evidence and see where it leads with no presuppositions. Or we simply go down the rabbit hole again where you decide that a tea tray is a bat. And no, no matter what you think and baselessly claim, no argument for a real Jesus Christ son of God fares well at all. But you are more than welcome to try. As for WLC’s claims, they are hilarious and built for only the credulous, those that presuppose a magical god. Please try them too if you’d like. If you’d like, post me what you find as the best 5 (10, whatever number you’d like) arguments here in the comments and I will address them on my blog. Next Post From the Kitchen – Pot Stickers and Bagels: nope they have nothing in common that I can think of…. I think Christians just want to believe, it is more emotional that rational but most of them are not ready to accept this state of affairs! I have a feeling we’ll get deeper into that below. I’ll probably do some posts on my blog on epistemology soon as well. Let me try and understand you better. Do you maintain that all beliefs require scientific or sensory evidence? If not, then could you provide some examples of beliefs that do not (my examples seem to not be doing the trick)? I was hoping you’d reply to this. I suspect you may suffer from an incipient scientism (unconfirmed). If so, that would explain much of your contribution to our discussion. Clearing that up would be fruitful. Ben, please define “scientism”. A lot of Christians seem to want to use this word but are loathe to explain what they want it to mean. Since you do not accept that other religions are just as valid as your version of Christianity, can you tell me why you disbelieve the claims of others that are by their nature unable to be supported by sensory evidence or the scientific method? Also Ben, I’ve considered your guest poster’s claims of evidence for JC in his posts on your blog. They are simply WLC’s claims repeated. I have shown how they fail on recent posts on this blog. You are asked to show how my points are wrong.